Pyrite Beads Round, Square, Faceted. Home > -Gemstone Beads, Amber, Amethyst, Labradorite. Gem Beads From A to Z > Pyrite Beads Round, Square, Faceted. 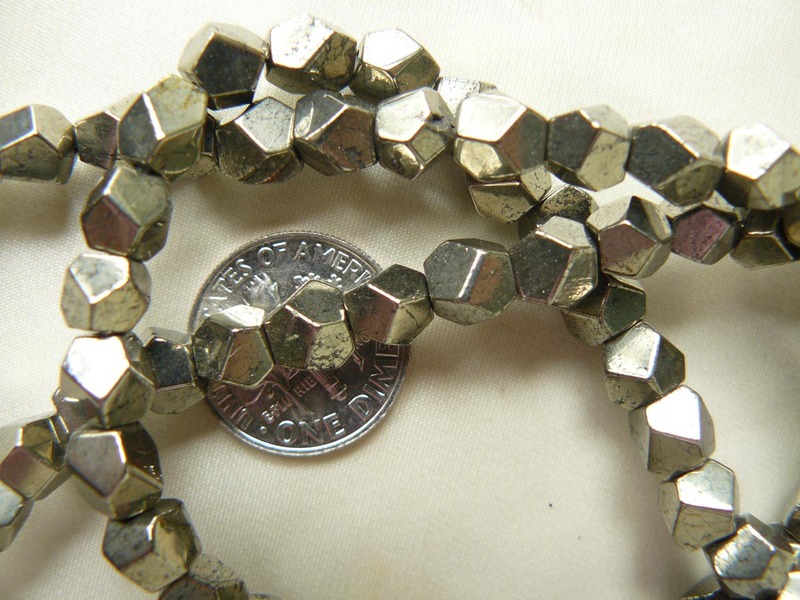 Pyrite Beads.Pyrite was first used as a source of ignition on firearms in the 16th and 17th century. It is also known as fool's gold because gold and pyrite have a similar appearance.